"It's a dream come true." Pipestone's Junior Forward Faith Tinklenberg has a reputation of stepping up when the game is on the line. In the state semi-finals against Jordan, Tinklenberg grabbed 11 rebounds and scored 26 points, on 11 of 15 shooting, 4 of 5 from 3-point range But it's in overtime, when Tinklenberg became cold blooded. Ice water cruised through her veins as a confident Tinklenberg scored again and again and again. Her pull-up jumpers "chilled" Jordan fans. "Our team, we play better under pressure. I play better under pressure too," said Tinklenberg. Tinklenberg didn't thaw for the state championship game against Albany. She scored 16 first half points on 6 of 12 shooting and 3 of 5 from behind the arc. Give Albany's Head Coach Jon Nureen some credit though. His box-and-one half-time adjustment held Tinklenberg to only 5 points in the 2nd half. "We don't see a lot of that. 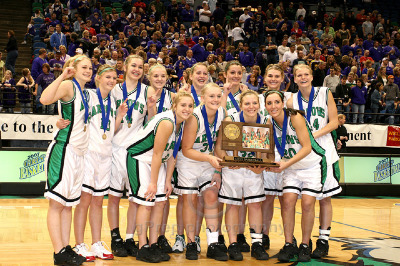 The second half they really took her out of the game," said Pipestone Head Coach Jay Johnson. 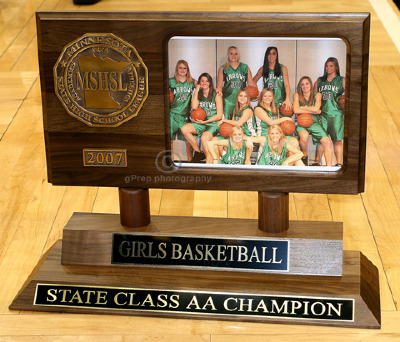 But, Pipestone would make an adjustment of its own. 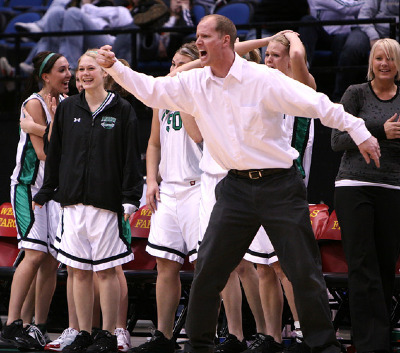 They turned to Senior Steph Kocourek for the winning 3-pointer that gave Pipestone a 50-49 victory over Albany. "Us seniors know that in pressure situations we have the experience. We are the one that need to step-up and tonight as a team everyone stepped-up. I ended up hitting the last shot. It's a dream come true," said Kocourek.